We, the undersigned, have been informed that FuturaGene, a biotechnology firm wholly owned by the pulp and paper company Suzano, has submitted a request for commercial planting of its yield enhanced genetically modified eucalyptus trees. Suzano/FuturaGene, as well as other companies like Fibria (ex-Aracruz) and ArborGen, have been conducting research and field experiments on GM Trees for years. Suzano/FuturaGene´s interest has been to increase the productivity of their tree plantations. They argue that their new GM tree will result in a 20% increase in productivity and by doing so will increase “competitiveness and environmental and socio-economic gains through higher productivity using less land and therefore overall lower chemical inputs and lowered carbon release, as well as making land available for food production or conservation and enhancing the income of outgrowers.” (1) These myths do not stand up to real facts and are addressed below. The use of faster growing GM trees in industrial plantations will exacerbate the already well-known negative social and environmental impacts caused by industrial tree plantations while introducing yet further impacts and knock-on effects due to the additional risks inherent to genetic engineering. Industrial tree plantation companies have long promised that gains in productivity would lead to less land use. This is a myth. In Brazil, for example, where the productivity of monoculture tree plantations per hectare increased from 27 m3/ha/year in the 1980s to 44 m3/ha/year currently, the area covered by plantations has increased from about 4 million hectares at the end of the 1980s to more than 7.2 million hectares today. Historically, there is thus no evidence that in Brazil, increases in productivity led to less land being occupied by industrial tree plantations. A newly formed association, Indústria Brasileira de Árvores (Ibá), representing the Brazilian industrial tree plantation industry states that they intend to double the area of industrial tree plantations to 14 million hectares by 2020. Suzano recently opened a new pulp mill in the state of Maranhão with an 1.5 million tons/year capacity. 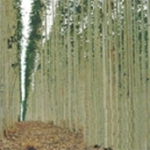 Huge areas of land covered with tree monocultures will be needed to fulfill Suzano’s wood demand for pulp, as well as for an added demand, in particular its plans to explore new uses of its wood with a project in the same state to produce and export wood pellets for energy production, to cofire with coal in the UK. The use of biomass for industrial scale energy production remains highly controversial, and its negative social, environmental and climate impacts have been documented widely. Both the pulp and wood pellet projects aim solely at profiting from new market opportunities, which is the mission of Suzano. While profits from this expansion accrue to Suzano shareholders, the social, ecological and economic costs as well as increased risk to regional food sovereignty and health will be borne by the Brazilian public, and local communities surrounded by plantations in particular. Many and serious conflicts over access to land already exist, and living conditions of communities surrounded by Suzano’s operations have deteriorated to the point that communities are now struggling to guarantee their food sovereignty and are increasingly at risk of losing their territories (2) . Further, there is no plausible reason to expect that the use of “chemical inputs”, including agrotoxins, will decrease as a result of planting GM trees. On the contrary, it will increase with the increasing occupation of land which is planned to take place and the intensification of growing cycles and the ensuing nutrient depletion of soil and land. Brazil, sadly, is already the world’s leading consumer of agrotoxins, causing injury to hundreds if not thousands of victims per year, putting further strain on already insufficient public health provision. Industrial tree monocultures, lacking biodiversity, and promoted at very large scale, will augment the application of agrotoxins by huge amounts. The argument used by the GM technology lobby that the introduction of GM crops—such as soy and maize—results in less use of pesticides and fertilizers has already been proven to be false. In countries including Brazil, Argentina, and the United States – front-runners in GM soy & maize production—research has shown not a decrease, but rather an alarming increase in the use of agrotoxins (3). Genetically modifying trees to make them grow faster, while planting them on a continuously expanding portion of the land in ever larger industrial tree plantations, will only lead to further depletion of soil nutrients and fresh water. This is especially true for eucalyptus trees, already notorious for their voracious water consumption, which has been shown to result in the overall drying out of surrounding soils, springs and waterways. Communities living around non-GM tree plantations within and outside of Brazil have already widely reported water shortage and soil depletion. The introduction of faster growing GM Trees will only further aggravate this situation. Serious uncertainties exist with respect to the potential environmental and socio-economic impacts of genetically engineered trees. Unexpected effects have already been reported for GM food crops, including for example the proliferation of herbicide resistant weeds, the emergence of secondary pests decimating crops, altered fertility such as higher rates of outcrossing, as well as increased allergenicity. Given the long and often complex life-cycle of trees and their interaction with biodiversity, predicting the outcomes and impacts of GM trees is practically impossible. While eucalyptus is non-native to Brazil, it is widely planted, and contamination of non-GM eucalyptus trees by GM eucalyptus is another serious risk, although FuturaGene, paradoxically, welcomes it (4). Will it alter invasiveness, attract new pests, weaken or deter predators? Such questions have neither been asked nor are there data to provide answers. The catalog of risks is high. Based on the history of industrial tree plantations and the introduction of GM crops in general, we object to and deny industry’s claim that society as a whole would benefit from the commercial release and planting of GM trees. Existing evidence points squarely into the opposite direction. The only benefit we see from this new high-risk technology with unknown future impact (and possible associated incalculable cost) is that of increased profits to Suzano’s shareholders. For the aforementioned reasons, scientists, lawyers and organizations around the world are calling for a global moratorium on the commercial release of genetically modified trees, due to their unknown but potentially severe social and ecological impacts and incalculable economic risks, which would overwhelmingly accrue to the public. 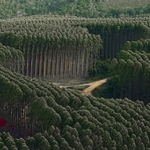 Therefore, the undersigned organizations and people wish to express their deep concern and urge the CTNBio not to authorize the commercial release of yield enhanced GE eucalyptus by Suzano/FuturaGene or by any other company that also has, or will present in future, a request for such a release.